No other form of fly fishing has broader application on so many types of water for both active and inactive trout. So argues Osthoff, who challenges the long-held notion that nymphing involves little more than dead drifting with the current. Osthoff advocates an active strategy of moving the nymph, applying effective casting and creative presentation techniques that will attract the most elusive trout. 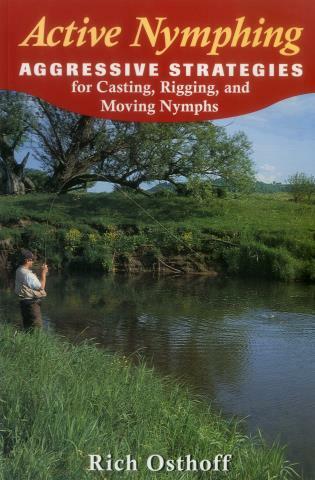 With comprehensive advice on rigging and prospecting, practice tips for a wide variety of casts, and strategies for precise control to bring your nymph to life, this is your guide to becoming a truly versatile angler. Rich Osthoff ties his fly designs commercially and guides trout anglers near his home in western Wisconsin. He has also written Fly-Fishing the Rocky Mountain Backcountry (0-8117-2766-1) and No Hatch to Match (0-8117-3152-9).